The organisation of time in Spain is a fascinating topic and one that for historical, geographic and political reasons puts Spain on its own unique schedule compared to the rest of the world. We knew before we came to live here that Spaniards had a unique relationship with time. We have since come to adapt and appreciate it with ease but what surprised us was the reasons behind why Spaniards do everything about two hours later than the rest of the world. Here’s why: Spain’s clock time is effectively two hours ahead of its natural solar time zone and the reason for this is World War II. 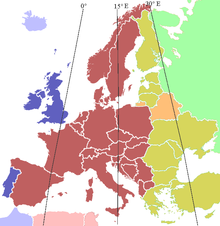 Prior to 1940 Western Europe had it’s own time zone (Greenwich mean time) which was one hour behind Central European time. With German occupation of Western Europe and, in the case of Spain, Franco’s allegiance to Germany, the clocks were changed to central European time to align with the German Reich. After the war none of the countries returned to their natural time zone except for Portugal and the UK who remained unoccupied during the war and therefore retained their time zone as they still do today. 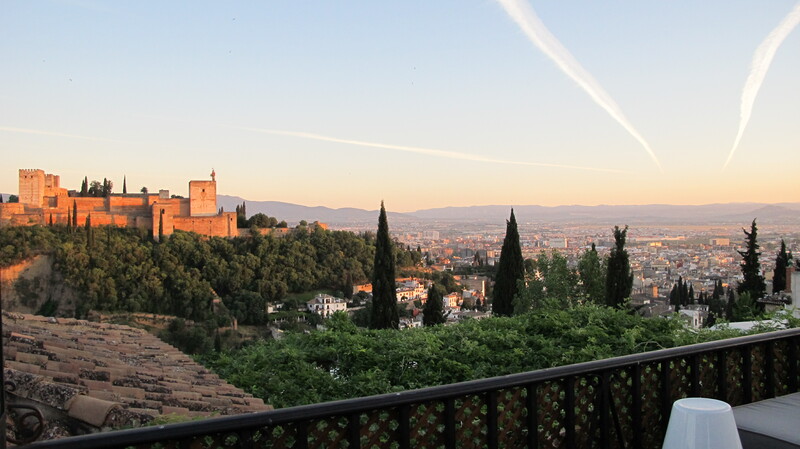 It is widely accepted that the relatively late sunrises and sunsets in Spain shift the average Spaniard’s day later than it otherwise would be. In practical terms living two hours outside of solar time means that going to bed at a normal time is hard as it is still light outside. That natural instinct to go home and rest at nightfall does not take place until much later in Spain including in winter when it doesn’t get dark until just before 7pm. When we arrived in Spain in August on a flight from Budapest to Malaga, I had my hand poised to change the time on my watch. Surely, a distance of nearly 3,000kms in a Westerly direction required a time change? (I mean, that is the equivalent distance from Sydney to Perth or LA to New York) But no, the clocks remained the same, which meant going to bed 2 hours later on clock time (for me that meant 1am instead of 11pm and 10pm instead of 8pm for the children). As much as we thought we would transition slowly to Spanish time, it happened much faster than we anticipated, as our bodies did not want to be indoors getting ready for bed when the sun was still high in the sky at 9pm. And where in most places the hottest time of the day would be around 2-3pm, in Spain it is at 4-5pm hence the need for a siesta in Southern Spain. People do not tend to head back out on the street until 8pm for a stroll and a 9pm or 10pm dinner. We have adjusted well to this lifestyle and revelled in it, well except for the sleep deficit of about 1-2 hours per night that our children have accumulated. Although they don’t fall asleep until it is dark at 10.30pm they still have to be at school at 9am (clock time). They don’t seem too affected by the new routine although I wonder if they may have stunted growth! But it was all worth it! We hope we can bring some of this new routine back to Australia. I wonder if we may be the last ones at Bondi Beach on summer week nights rather than participate in the communal mad dash home at 6.30pm. At the time we would usually get that feeling to head home to start the night routine, we now realise that there is a whole life that can be lived between 7pm and 10pm and the kids can still get up for school the next day. Note to my Sydney friends: who’s up for 9pm tapas on weeknights? You may however need to skip your 6am run!! While I will be trying to export the Spanish way of time to Australia, it seems there is a movement in Spain pushing to return to its original time zone under the premise of boosting productivity and bringing family and work rhythms into better balance. In September Spanish subcommittee tasked with studying the ‘Rationalisation of Hours, the Reconciliation of Personal, Family Life and Professional Life and Responsibility’ made a report to the Spanish Government proposing, among other things, a return to Greenwich Mean Time. The subcommittee considered that this time zone change “would have a favourable effect, allowing more time for family, leisure, and avoiding downtime during the workday.” The proposal was also aimed at improving Spanish labour productivity. There are many people who are opposed to changes citing that the late sunsets lend themselves to more hours out of the house and in the world with friends and community, something that Spaniards delight in. I really enjoy reading your articles, I wish you all well on your return to Australia, will you keep us informed on how your return to Australia is? The Spaniards settled in Mexico for a few centuries after Christopher Columbus, but that happened hundreds of years ago. Mexico and Spain are worlds apart. They hardly share anything these days, except for the language, with peculiarities of its own on each side of the Atlantic. It’s two different countries, cultures and lifestyles, nothing to do with each other. I don’t know why people in the rest of the world insist in assimilating Mexico to Spain. They are also in two completely different regions of the world! It’s like assimilating England to India, USA or Australia only because the latter were once under the umbrella of the British Empire.